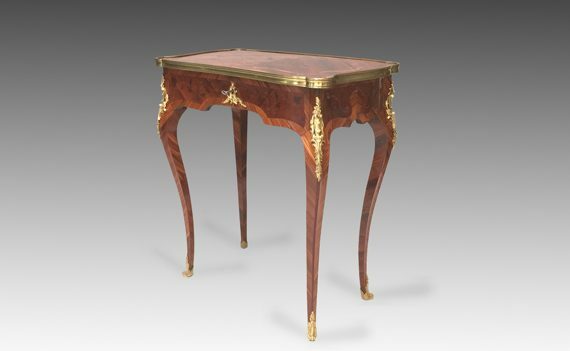 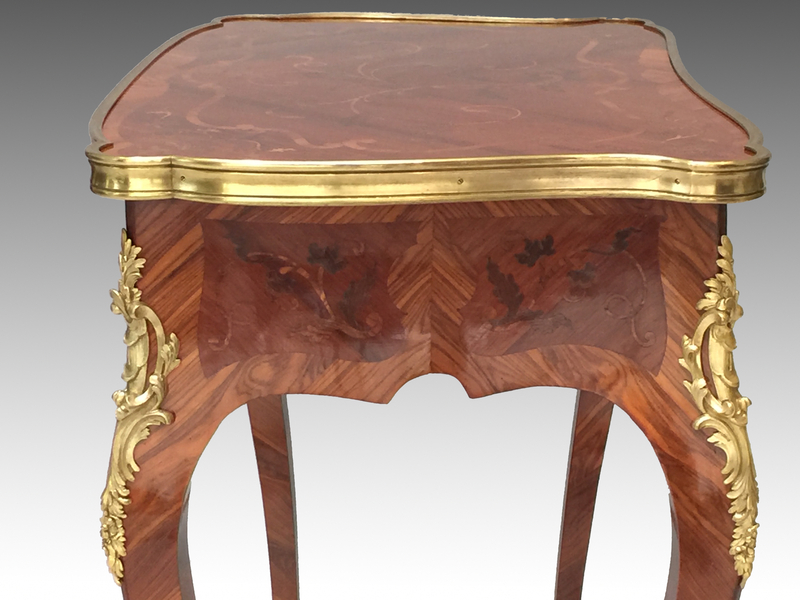 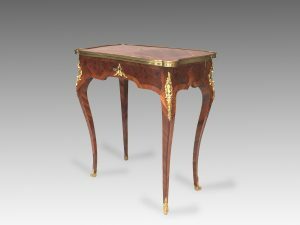 A late 19th century, French, Louis XV style kingwood and marquetry inlaid side table embellished with fine ormolu mounts by Millet. 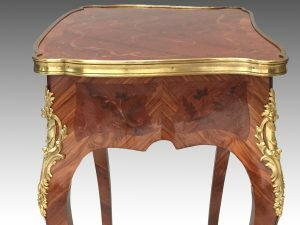 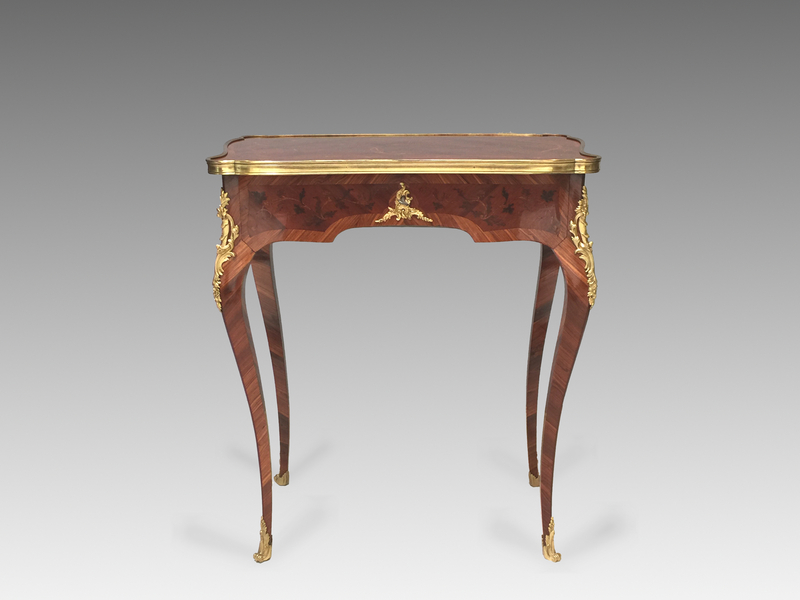 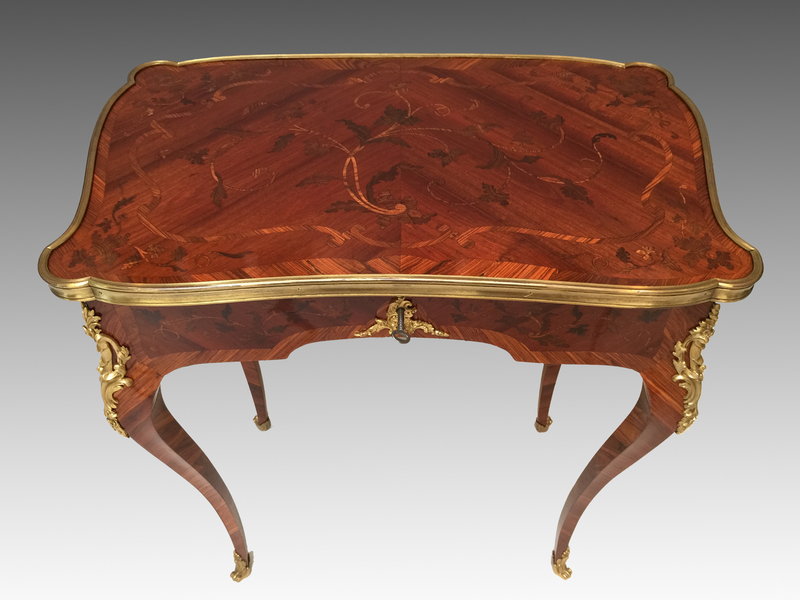 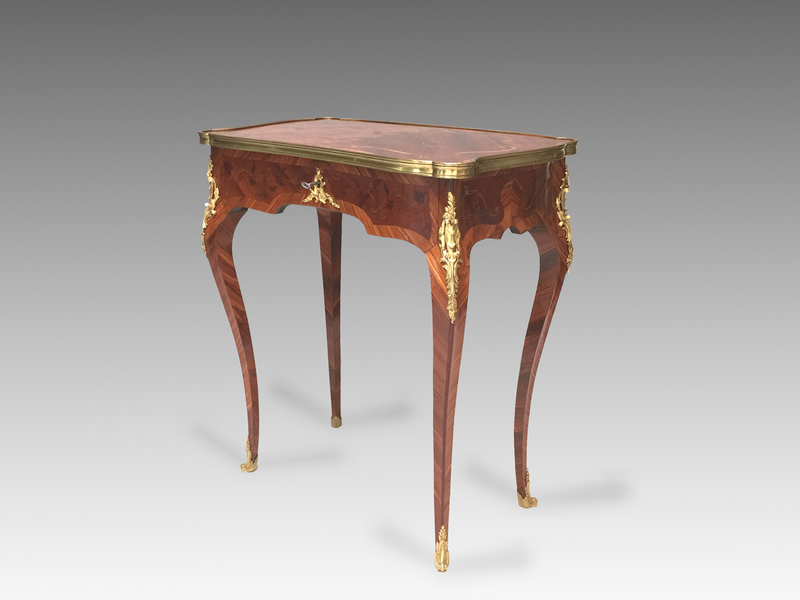 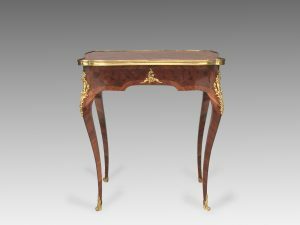 The shaped top above an oak lined frieze drawer supported by four slender cabriole legs ending in gilt sabots. 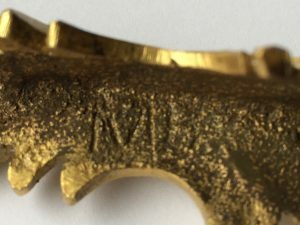 Mounts with ‘MB’ initials to reverse from the master moulds.